Previous article Spirit Airlines is 99% Off Today Only! How to score a cheap flight without the fees. Disclosure: This post may contain affiliate links, which means that if you click on a product link, I may receive compensation. This compensation comes at no additional cost to you, and as always I only recommend products I trust! 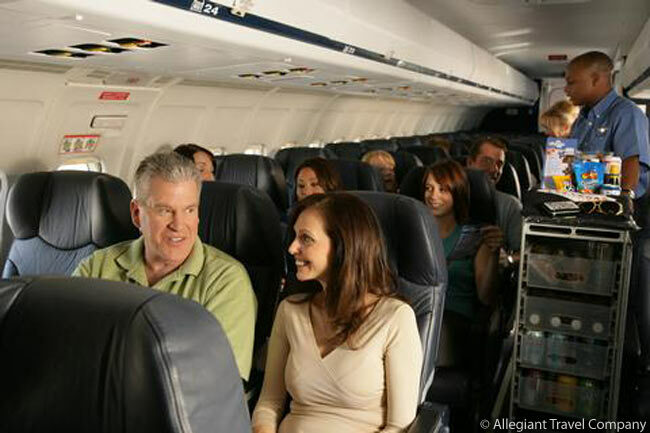 Allegiant Air is frequently listed as one of the consumer’s most hated airlines for their nickel-and-diming practices. While upfront prices may appear like the best offer, there are multiple fees that get added to the final price. Everything from carrying on bags, to boarding passes, and even HOW you buy your tickets will add an additional charge if you’re not diligent. If you’re looking to score budget-friendly airfare, here’s how to outsmart Allegiant Air to get the lowest price. TIP: If you’re flying Allegiant, consider these personal sized bags for your trip! How They Get You: Purchasing your tickets is where a majority of the fees take place. 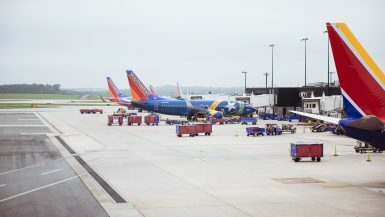 Among them: a processing fee up to $8 for credit card purchases, a $13 “electronic carrier usage charge” for tickets purchased outside of an airport’s ticket office, up to $80 for guaranteed seat assignment and up to $45.00 for carry-on bags paid at the airport. How To Outsmart Them: To keep prices low, keep your debit card on hand and be open to sitting wherever you’re placed. In my first-hand experience of flying on Allegiant Air, I’ve only seen one party be separated that didn’t pay for the seat upgrade, but they simply asked other travelers in their row if they’d mind switching seats, which worked out in their favor. Worst case scenario, use this as an opportunity to bring a book, pop some headphones on, and enjoy a few hours of alone time! With seat upgrades costing up to $80 per ticket, save your money and invest it in a hotel room upgrade or a fancy dinner instead! How They Get You: Allegiant Air makes a majority of their profit off of luggage fees. As of December 2015, it costs $45 to $55 for checked bags if paid in advance, rising to $75 if paid at the airport; plus $15 to $35 for carry-ons paid in advance, jumping up to $55 at the airport. Prices do vary depending on where your tickets were purchased and the route, but we’ve never seen carry-on bags be available for under $45. 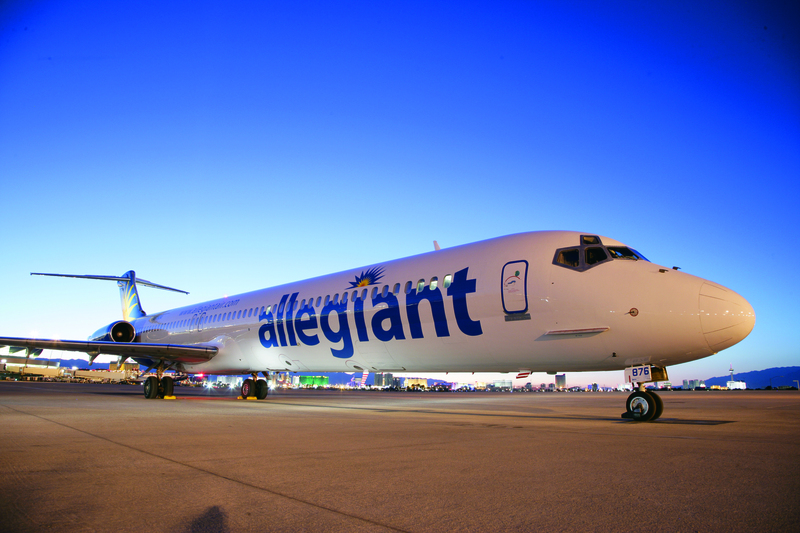 You can view all of Allegiant Air Fees & Policies HERE. How to Outsmart Them: Pack light! Every passenger can bring ONE free personal item. This item can include a purse, briefcase or a small backpack that must be stored completely underneath the seat in front of you. As of December 2015, the maximum dimensions allowed for personal items are 7x15x16. While this baggage size seems small, you’ll be surprised at how many fellow travelers make it work! There are a few companies like which make bags specifically to meet Allegiant’s personal item requirements! Our favorite Allegiant-approved bags can be found HERE, HERE, and HERE. Otherwise, camera bags, diaper bags, or large women’s totes can be great options as well! Likewise, consider using space bags! While they won’t reduce the weight of your bag, they’re huge space savers and are an easy way to pack more of your favorite clothes while taking up a fraction of the space. Keep the space bags for non-metal containing clothing only (with personal items in a separate clear Ziploc) and you’ll reduce your possibility of TSA needing to open your space bag to view your luggage. When paired with you wearing your heaviest, bulkiest items, you can easily fit between 5-7 outfits in the space including your toiletries! How They Get You: Allegiant charges $5 to print out your boarding pass at their airline ticket booth. How to Outsmart Them: Print your boarding pass out BEFORE you arrive at the airport. If you’re flying from home, most boarding passes are available at least 24 hours before your take off time, providing enough time to print out a solo piece of paper. At a hotel? Ask about your location’s business center, and if not, see if the front desk can print out your boarding pass for you. 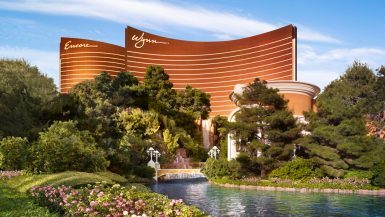 Most hotels provide complimentary internet, and if you have to pay for printing, the charges will be significantly less than if you have Allegiant do it for you. How They Get You: Absolutely nothing is included. Nothing. Not water, not pretzels. Nada. All food, beverages (and WiFi) is available only for an additional fee ranging from $3-14. How to Outsmart Them: Bring your own. Select foods are allowed through security, enabling you to pack a few small candy bars, granola bars, or even a sandwich. Food regulations do vary between airports, but generally small items are allowed allowing you to stay comfortable during your flight. For drinks, consider bringing an empty water bottle. Once through security, you can fill it up at one of the McDonalds, Starbucks etc and you’ll be able to bring it on the flight with you! Food purchased after security is allowed on-board as well, just be curious not to pack too potent smelling foods (ex. garlic fries) to be respectful of those sitting next to you on the flight, as a majority of food options from the restaurants will be more affordable, and possibly more delicious, than the cabin food offered. While Allegiant Air is certainly a budget airline, by”unbundling” fares upfront, passengers are able to choose what they want to pay for, instead of paying for services they don’t use. In doing so, the average price paid on Allegiant is significantly lower than the average domestic one-way fare. In reviewing all of Allegiant’s policies, packing smart, and being open-minded as to what’s provided on your flight, you can save hundreds of dollars on airfare that can be better applied elsewhere. All airlines are required to meet the same necessary flight requirements, safety procedures and more. 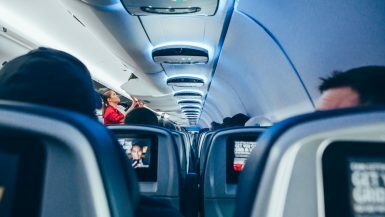 So while you may not have a tv on the seat in front of you or a complimentary bag of pretzels, your flight is required to be just as safe and professional as any other airline, you’re just saving up to 60% of the cost! Feel free to sound off in the comments with your Allegiant Air questions, or your own personal experiences with their airline! I’d love to hear your feedback! Great tips to get the most out of your money! I haven’t flown Allegiant yet, but would always pick the cheaper flight if given the opportunity. We’ve flown Spirit and utilized a lot of these same tips. Haha! Great advice. Have you ever seen the video called “Cheap Flights” by Fascinating Aida? You will relate! It’s hilarious and sums up Allegiant Air! Just search for it on youtube. We had JetStar in NZ/Aus and the domestic NZ version has been pretty rubbish over the years, ALWAYS delayed and always have to pay so many extra fees that it would have been better to pay more for AirNZ in the first place. With only two domestic carriers in NZ there is very little competition. But do go have a look at that video because its side-splitting hilarious! That baggage fee is insane!!! I haven’t flown with them in awhile. Not sure I want to now. I’ve never heard of this airline before but they remind me of Ryan Air, an airline that’s often used in the UK. They charge you extra for EVERYTHING so those £10 tickets soon end up costing you a lot more! You just have to be savvy and organised and you can get the cheap tickets that are advertised. I like this type of article, outling exactly (with number) what a budget airline charges and how to get around it. These days it’s quite needed. But if an airline doesn’t even provide water or let you carry on a bag without charging you, I would only fly them as an absolute, absolute last resort. Good tips for Allegiant. They are a true budget airlines who will try to nickel and dime you to make up for the cheaper fares. But if you want to save money your tips will help make the experience better. I was just able to somehow sneak a carryon bag onto a Wow Air flight which saved me like $60. I felt like a ninja! I have never flown with Allegiant and knew they had hidden fees, but no idea they were that devious. Thanks so much for exposing all the fees and I will be sure to give my friends a heads up based on your info. Impressive. Thank you for the tips! I have flown with them in the past and just booked yesterday. My carrier usage charge for two people on a direct flight round-trip is $72. So in 2019, looks like the price is $18 per statement per person. And on another note, I always decline carry-on bags and check in bags when ordering… And every single time, I get emails offering a cheaper price to do so. Check in bags were offered at $25-$30 and carry-ons were offered at $20.